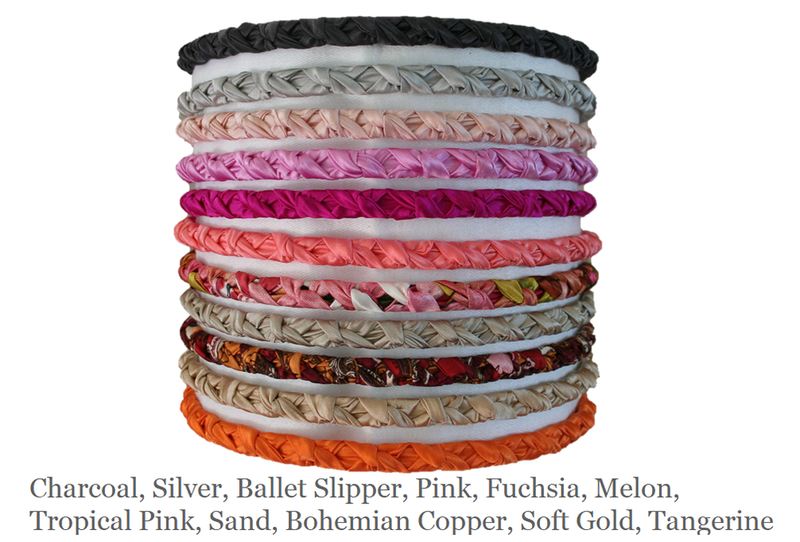 This thin headband measures 5/16"" wide and is hand wrapped and twisted with soft silk which gives a nice accent in the hair. Because it is so flexible it works well in all hair types. Shown here in OUR NEW tangerine, and gold silk.